can provide to the every day smoker. If you’re lucky enough to find one of the pipes in this section, you’ve found a part of our proud history. 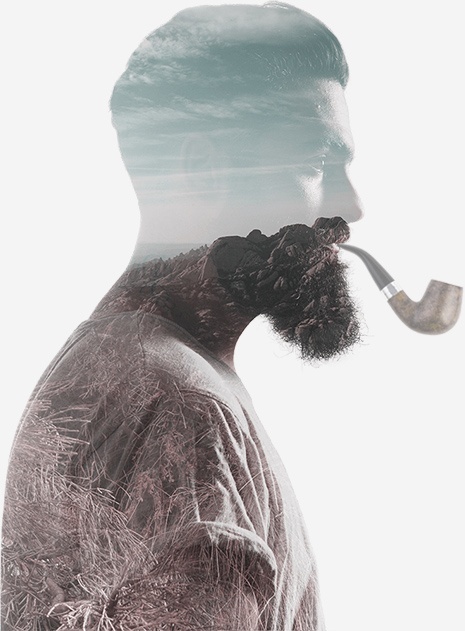 Regardless of age, it’s certain to be a great smoking pipe. We strove to reflect our great country in every element of this collector’s edition pipe from its shape (a Canadian) to the two 50 cent ‘Canada 150’ coins from the Royal Canadian Mint to the pipe tamper modelled after the Last Spike. Brigham Canadian-shape pipe with pewter “Canada 150’ cuff and marbled white acrylic stem. 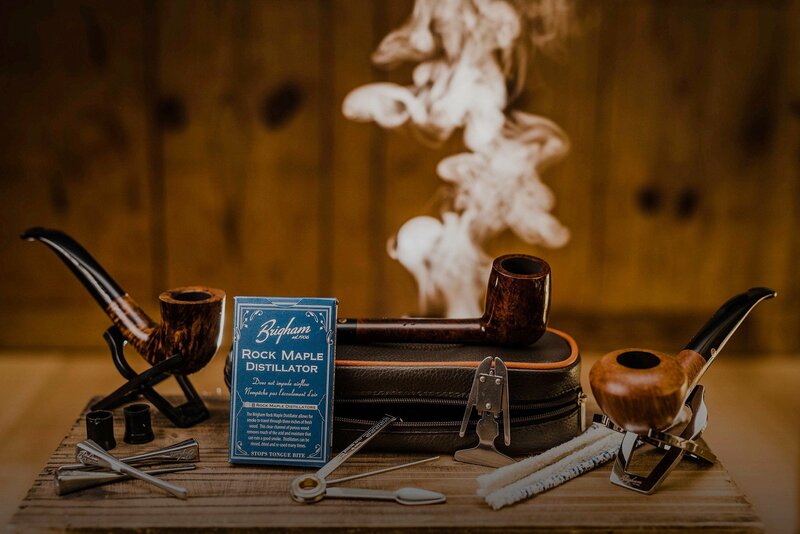 Only 150 pipes have been made and each comes with a Certificate of Authenticity, High gloss wood display with hidden magnet lid, Canadian Mint ‘Canada 150’ 50-cent coins, and ‘Last Spike’ replica pewter pipe tamper. For the first time in our history, we have made each pipe series different not only by the quality of Briar used but by a unique finish for each. We invite you to browse through some of the pipe series we’ve produced over the last few decades.